Situated between the Chianti region and the Chiana Valley, this fortified village of the 13th century, an amazing Tuscan wedding castle for your Italian destination wedding, can hold up to 100 guests in its elegantly decorated and furnished rooms and independent apartments. 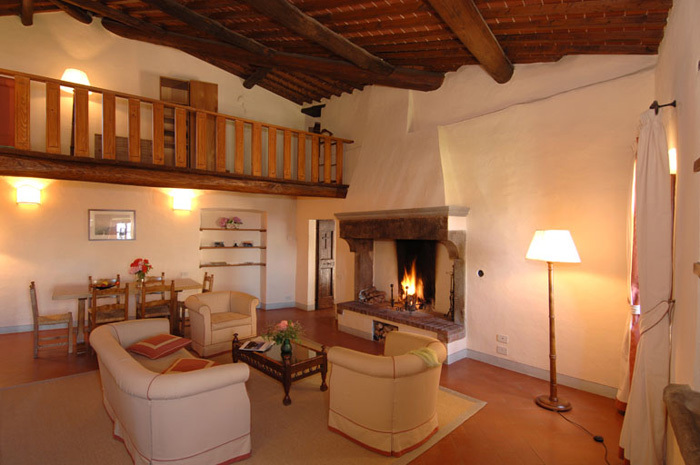 Located in various buildings within the village the accommodations are comfortable with wooden beamed ceilings as well as modern bathrooms: a skilful renovation has kept the elegant features of a private country house. 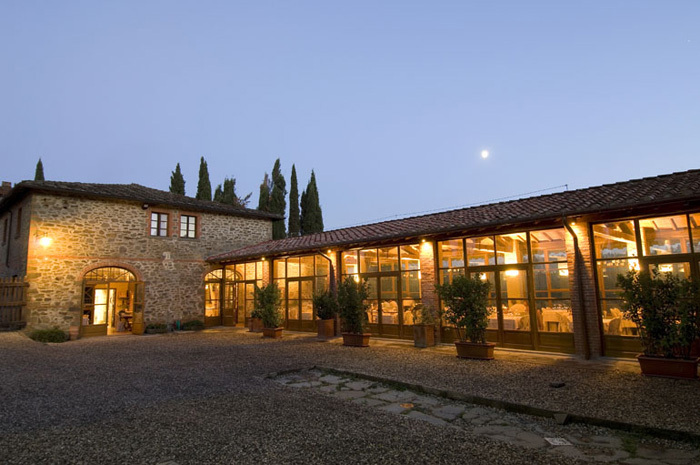 Surrounded by woods, this medieval hill top hamlet built around the courtyard and the imposing tower has a romantic Church for your Tuscan wedding ceremony and a Lemon Garden. The swimming pool with an enchanting view all the way down to the Chiana Valley is also a perfect setting for your blessing at the estate. 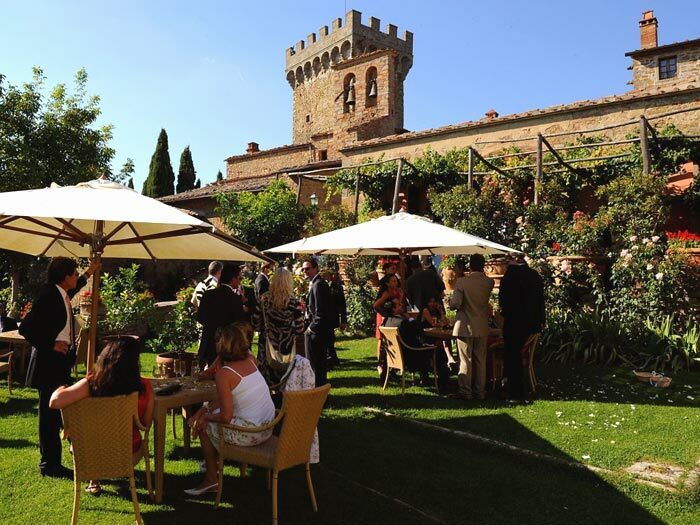 This charming wedding castle in Tuscany has it's own restaurant with delicious traditional Tuscan recipes. 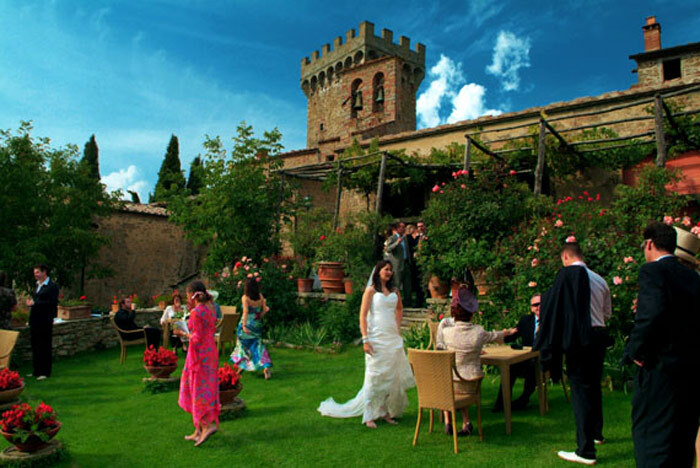 Getting married in Tuscany will be beyond your expectations at this Tuscan wedding castle! 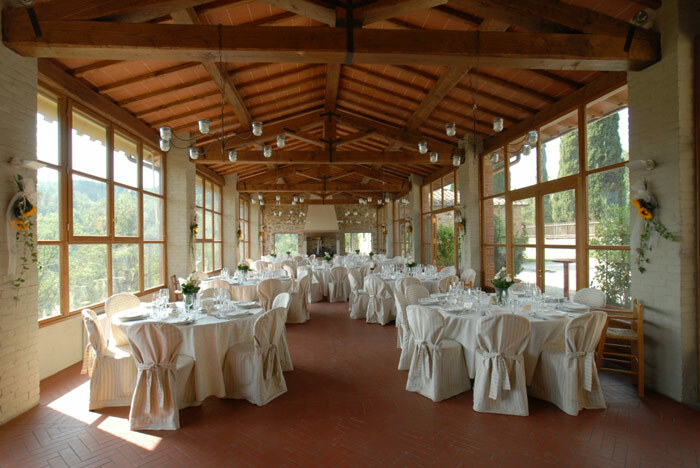 Your civil wedding ceremony can be celebrated in near by Siena Town Hall, one of the most beautiful town halls of Tuscany. Or in the smaller though charming Monte San Savino Town Hall. Your Catholic or Protestant wedding ceremony can be held in the Church on site. A Symbolic blessing or Religious wedding can be held inside in the Church in the village or outside in the intimate Lemon Garden. 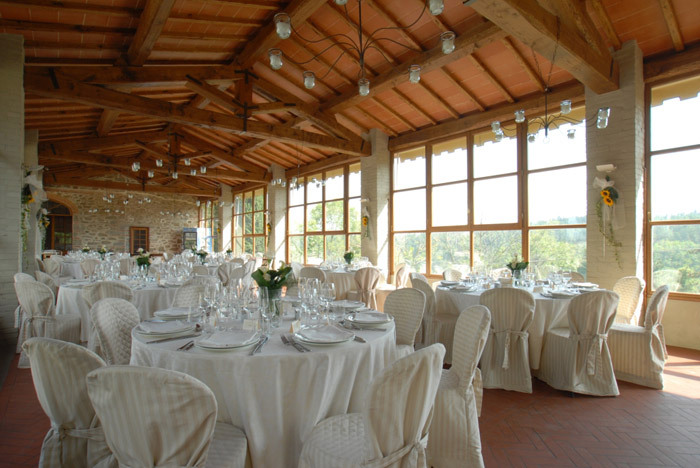 The property offers various reception possibilities: Your wedding dinner reception can be served inside the restaurant, which holds up to 100 seated guests; or outside in the garden enjoying the breathtaking view from the pool area. 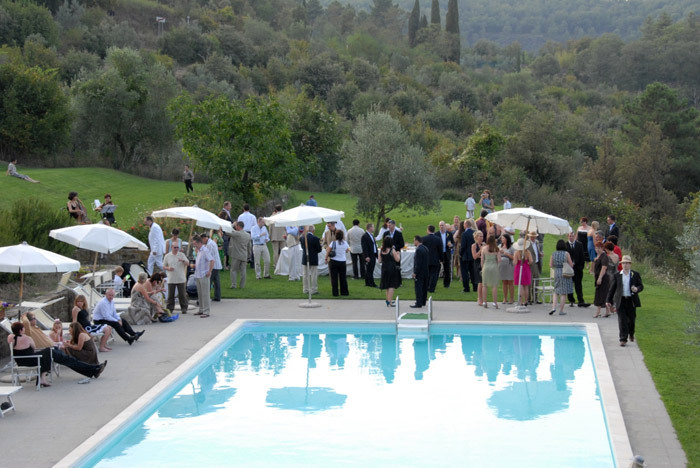 The intimate lemon garden could host an exquisite aperitif wedding reception as well as the pool area, under olive groves. Very unique wedding venue with truly Tuscan medieval atmosphere.